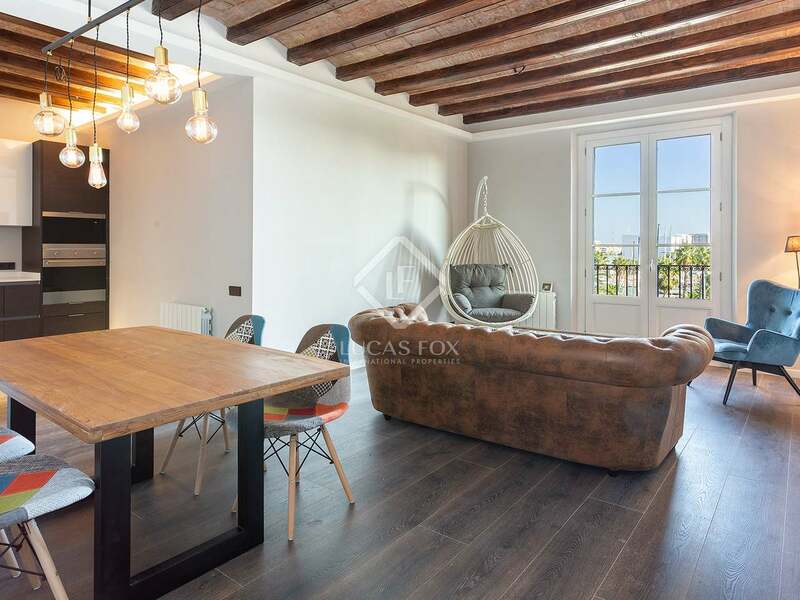 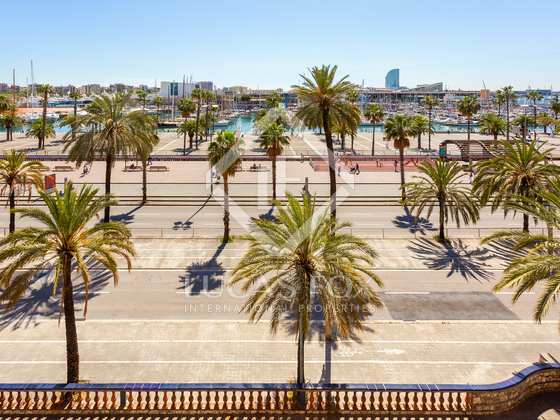 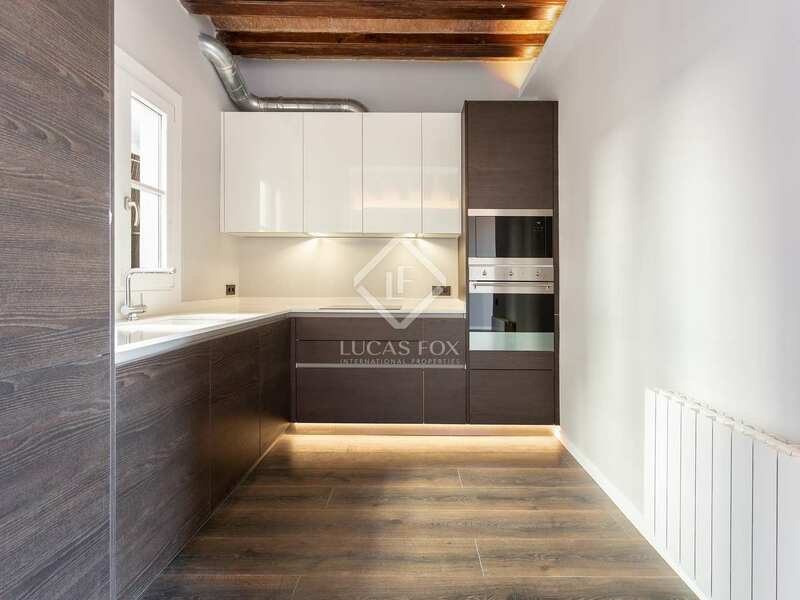 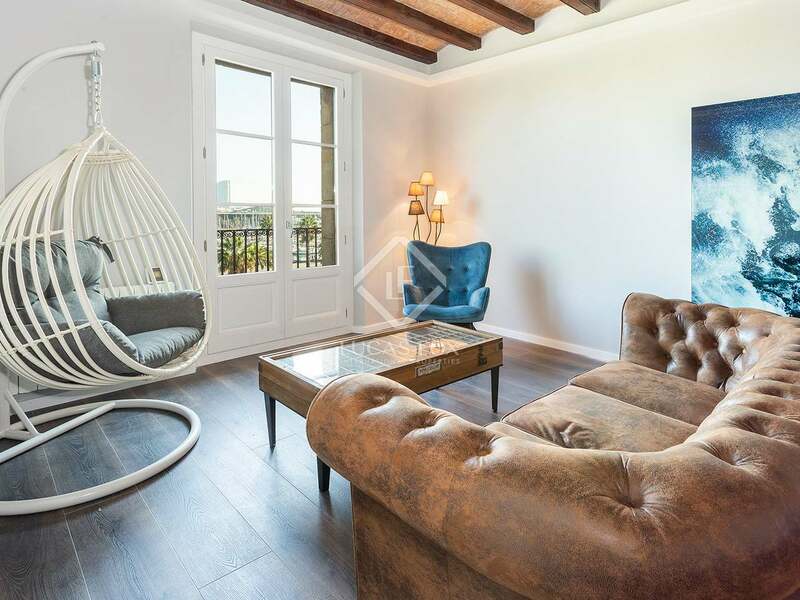 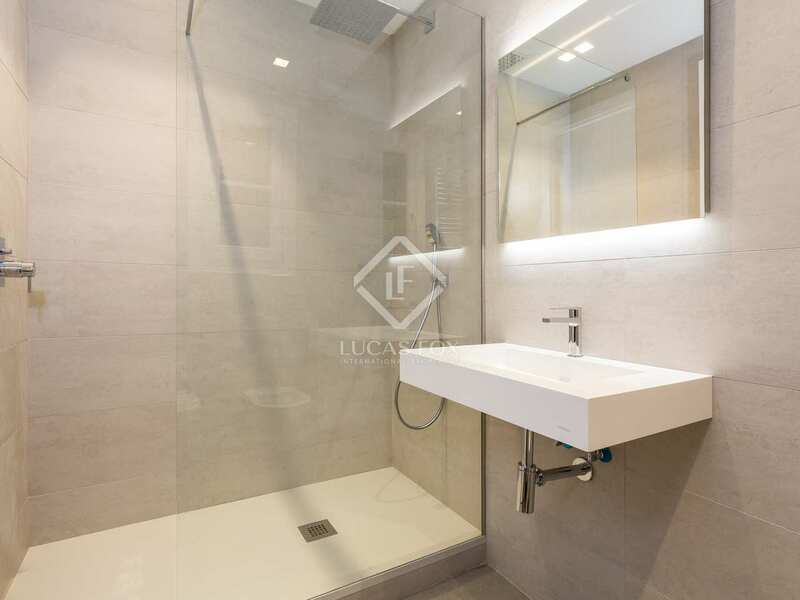 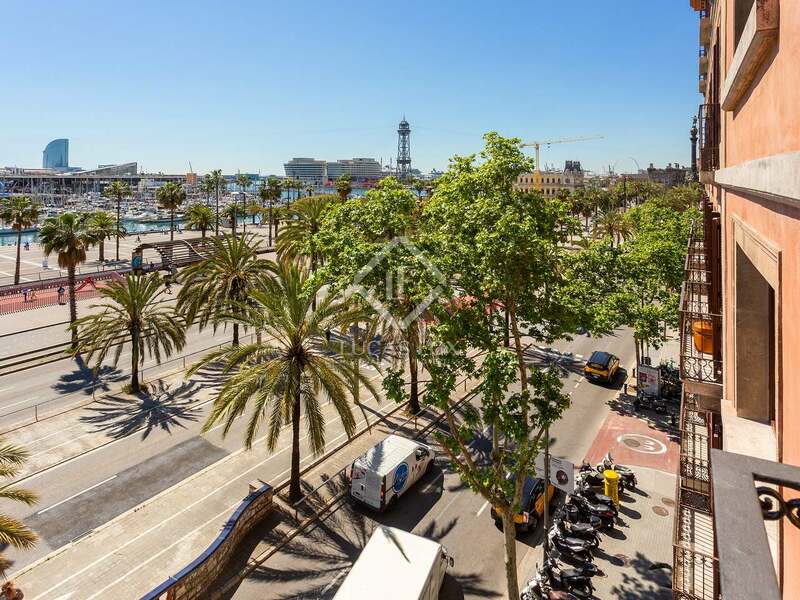 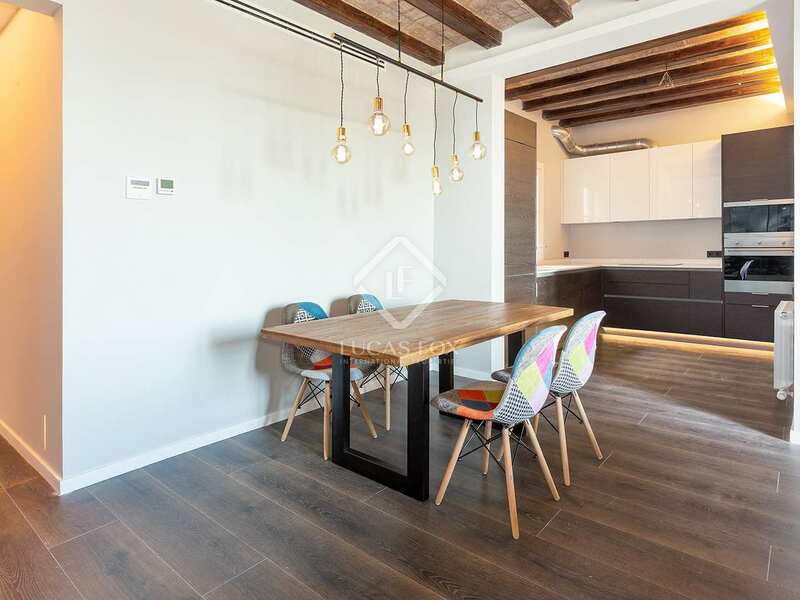 Stunning, renovated 2-bedroom property of 100 m² with beautiful period features on a high floor of a building with incredible direct views of Port Vell. 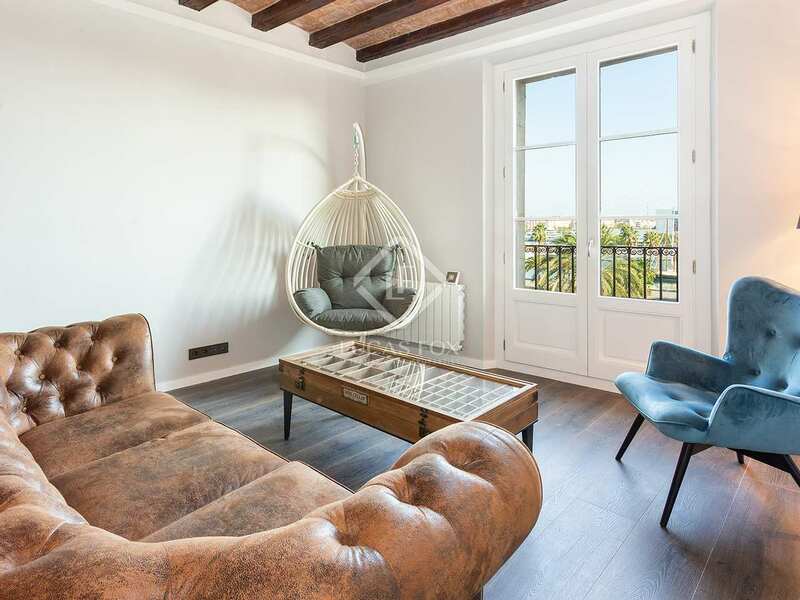 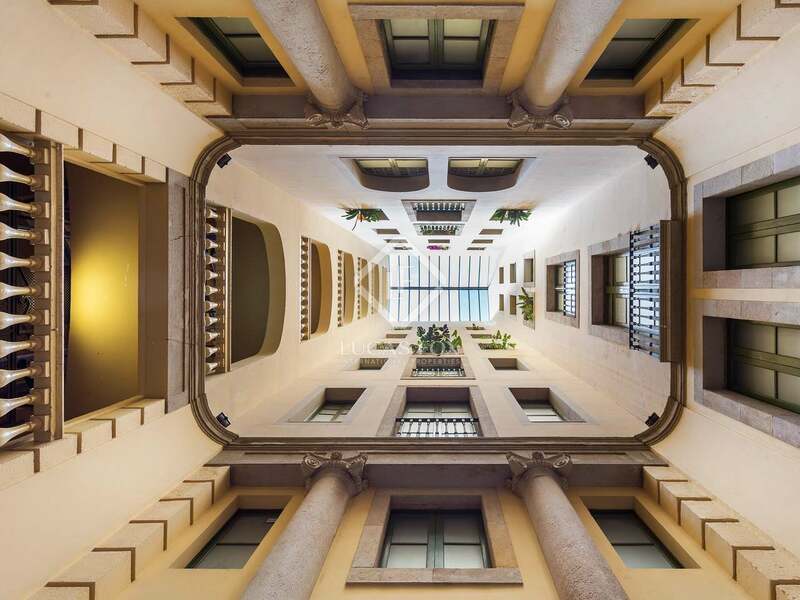 We access this stunning renovated apartment via a beautiful and much filmed public square, next to Passeig Colón, in a delightful historic building dating back to 1875 with an impressive horse-carriage entrance and a bright interior courtyard with a grand skylight. 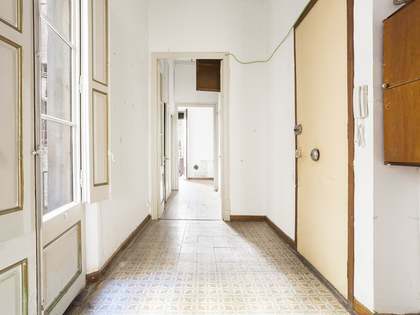 The building is in perfect condition and has a lift. 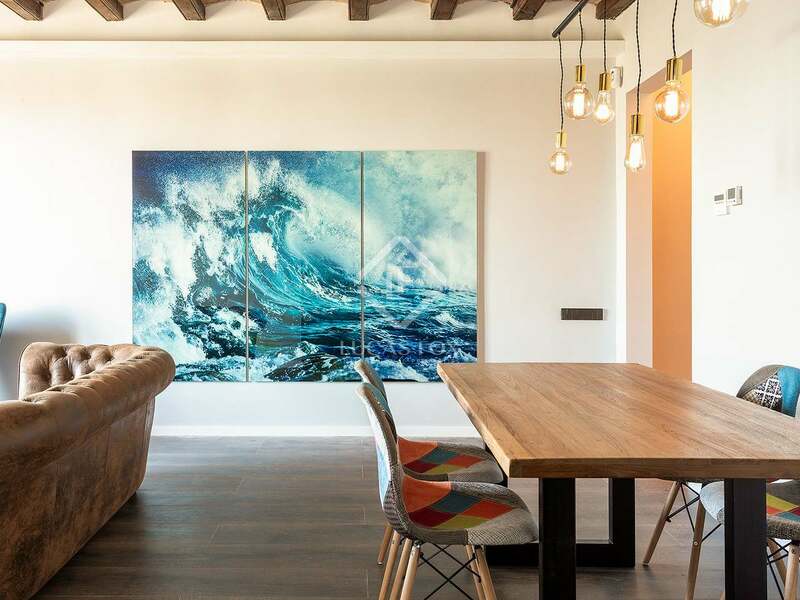 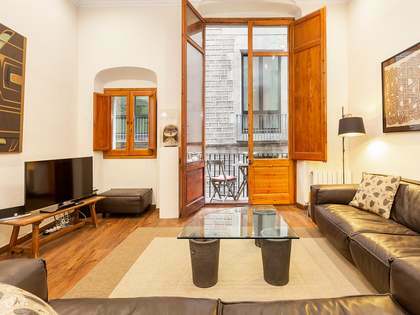 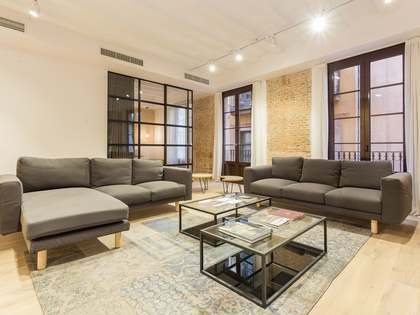 This property enjoys an incredible location in Barcelona's Gothic Quarter, next to the exclusive Soho House and near the wonderful beaches of Barceloneta and all of the sights and historic buildings of the Old Town. 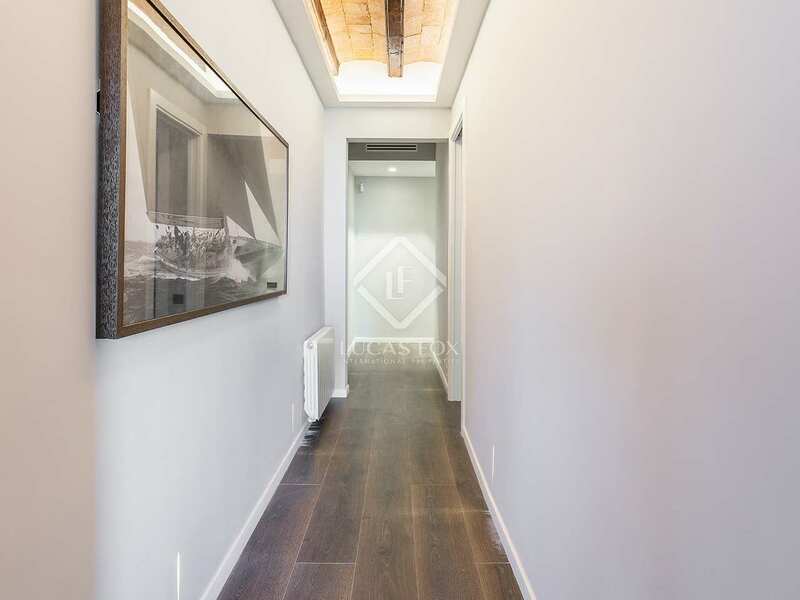 On entering the apartment we find the 2 bedrooms, one of which has an ensuite bathroom and access to a 5 m² gallery overlooking the interior courtyard and flooding the space with light. 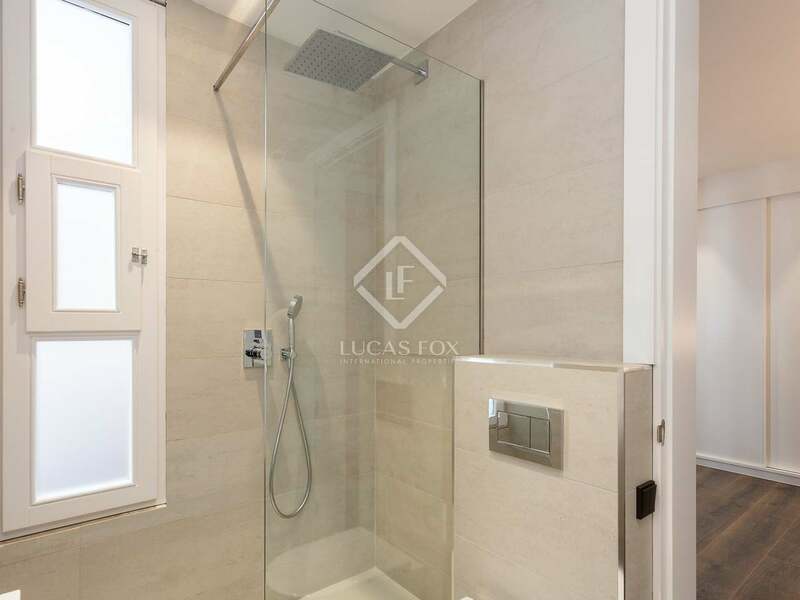 The second bedroom has a complete bathroom in front of it. 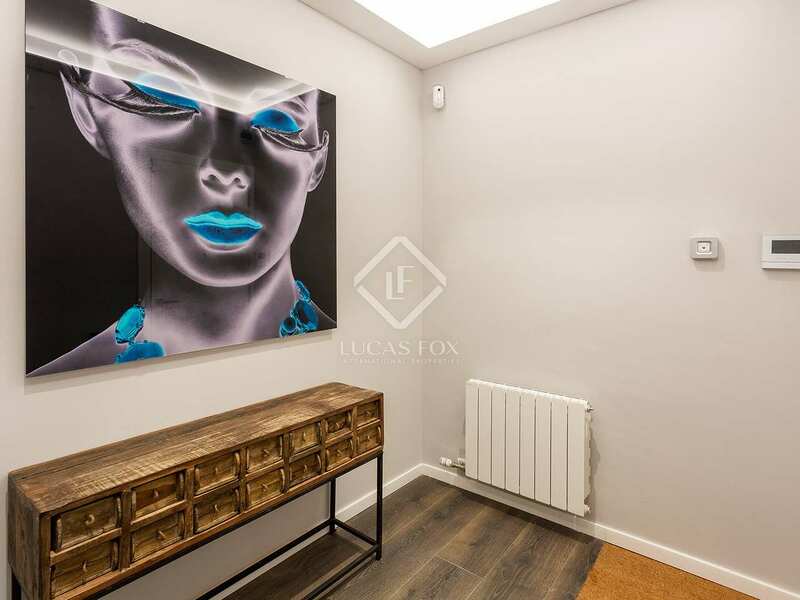 Moving on we find the heart of the home; an impressive open plan living and dining area with a modern, fully fitted open kitchen with Smeg appliances and led lighting. 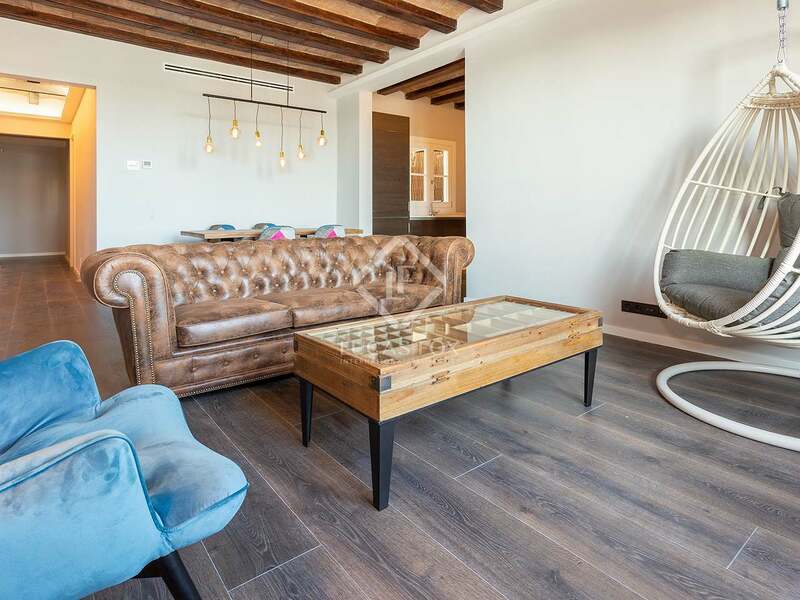 The living area features gorgeous vaulted ceilings with beams and leads out to a balcony. 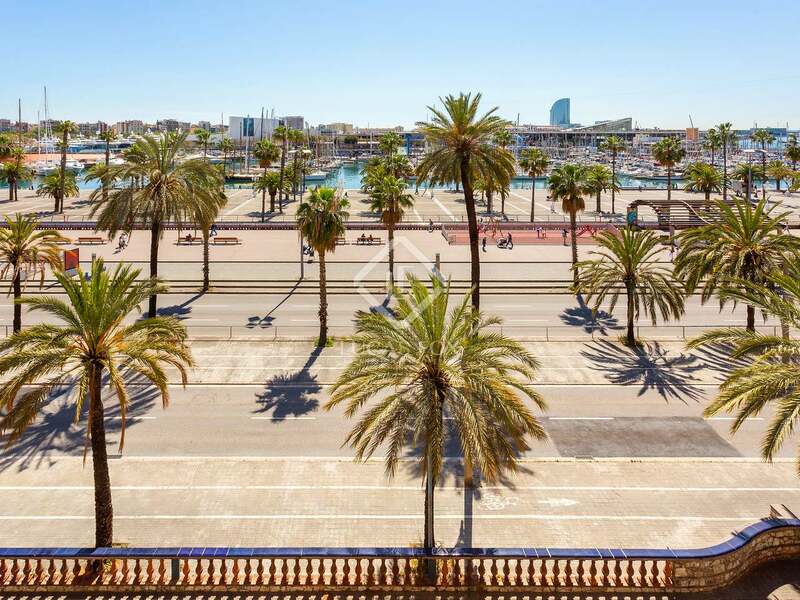 From the balcony we can enjoy impressive views of Port Vell and the city, which transforms from deep blue sea and sky by day to an array of twinkling lights by night. 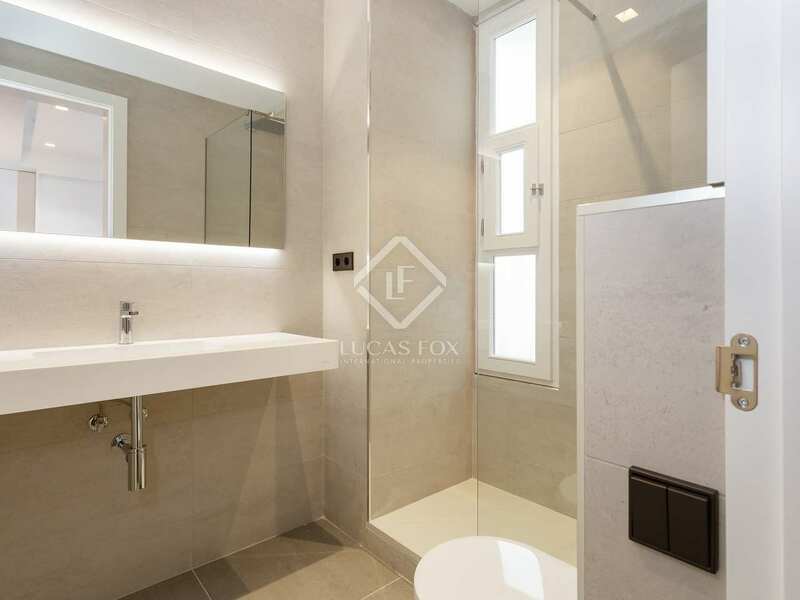 Great attention to detail can be seen in the finishes throughout this high-end home, and particularly with the led lighting. 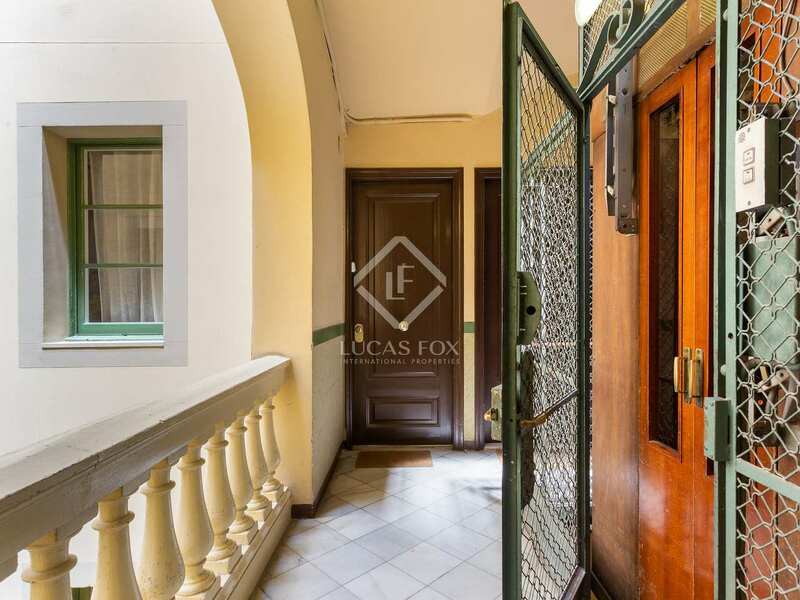 The property has air conditioning, heating via gas radiators and the rooms have TV and internet connection. 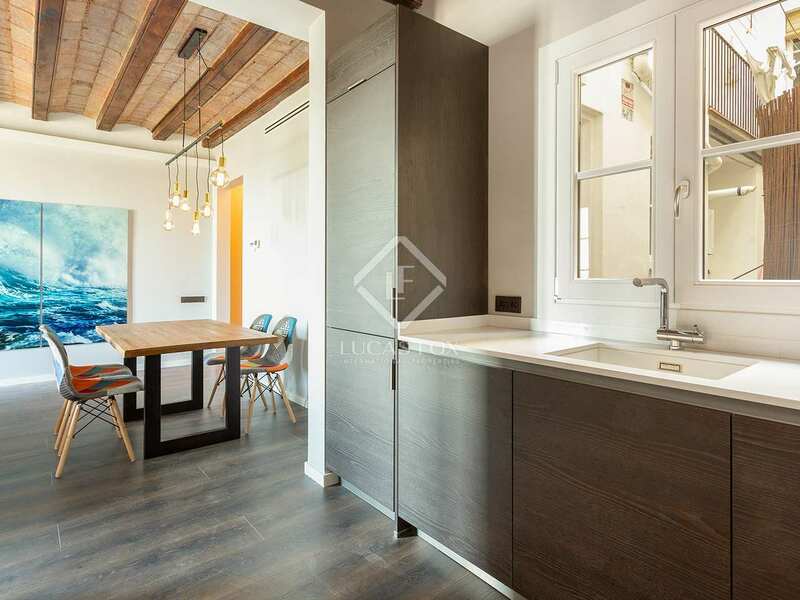 This is a characterful property with plenty of original Barcelona charm that has been designed to offer complete comfort and to adapt to modern standards. 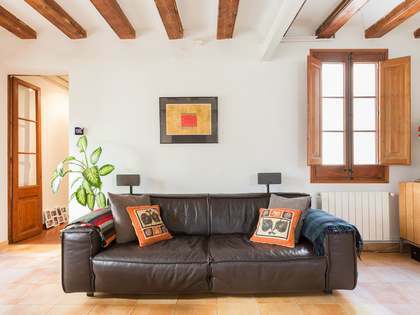 A truly idyllic home or pied-a-terre in the vibrant centre of Barcelona City. 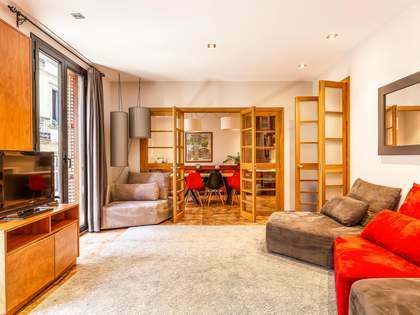 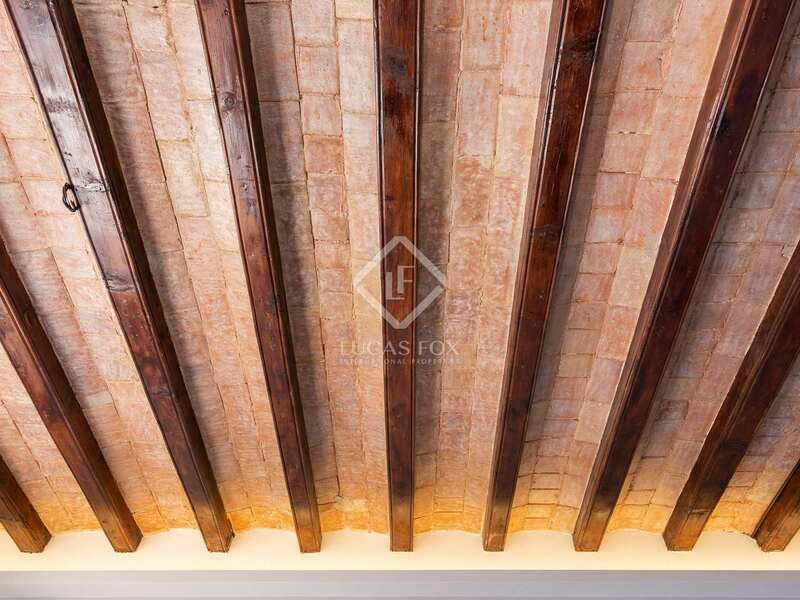 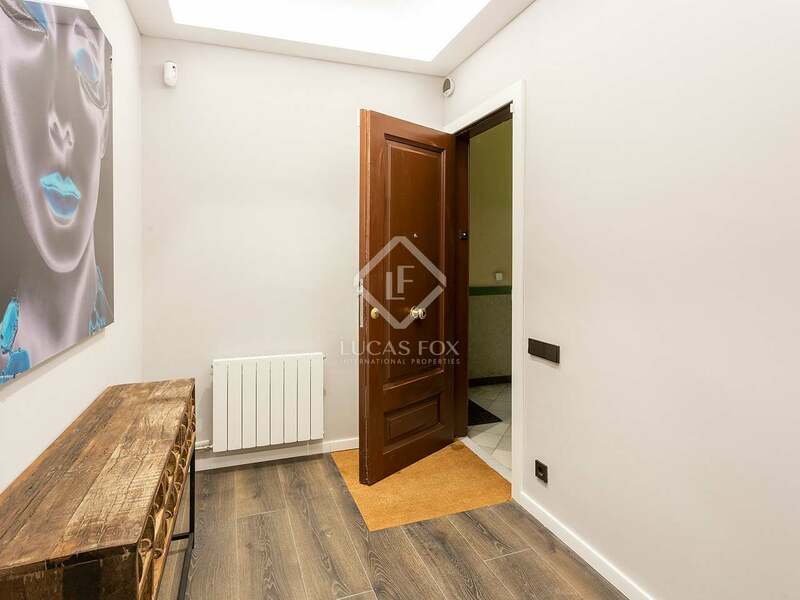 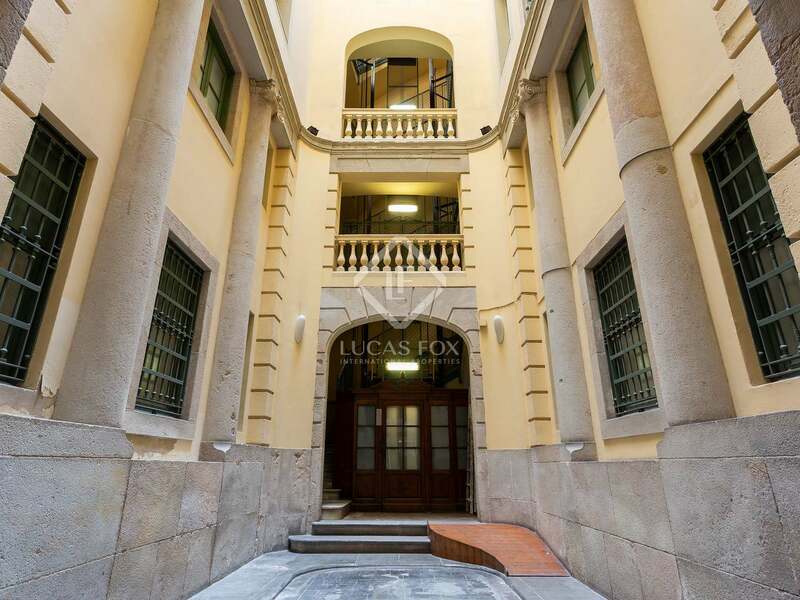 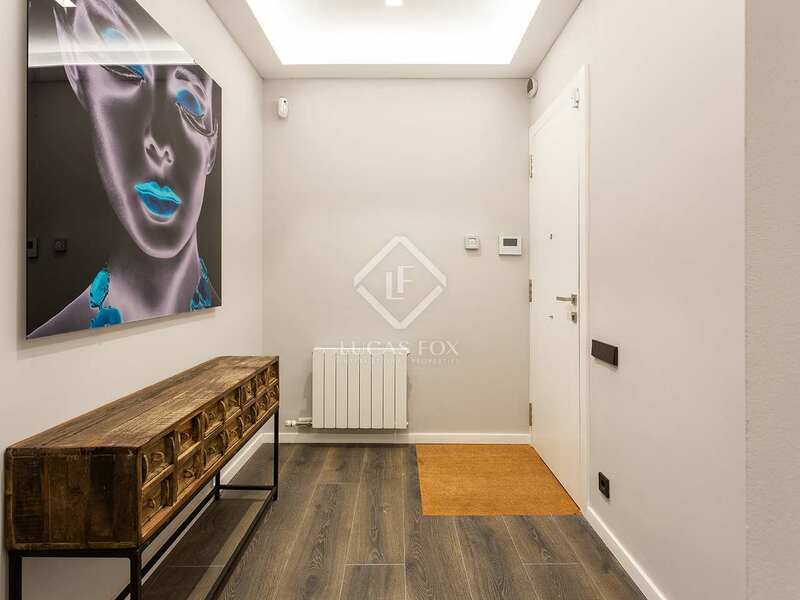 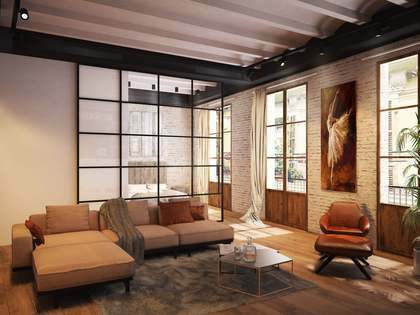 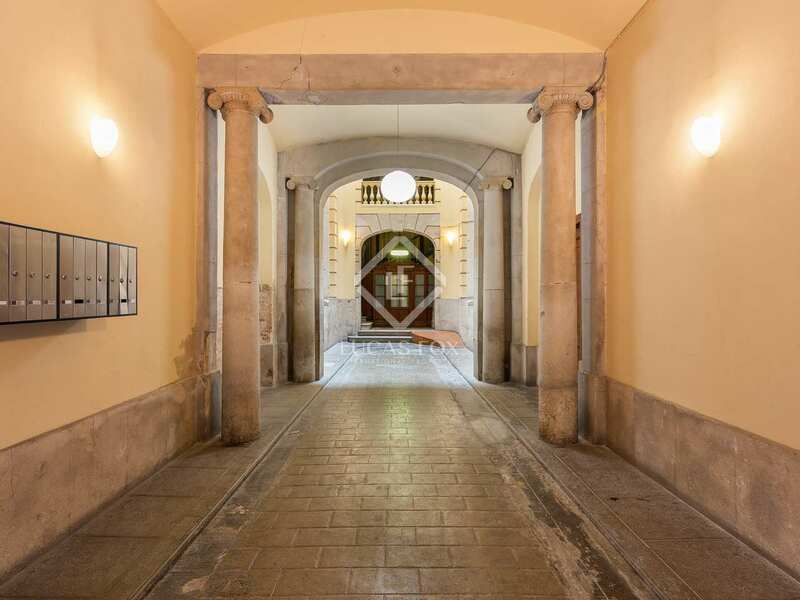 This property enjoys an incredible location in Barcelona's Gothic Quarter, accessed via a beautiful public square, next to Passeig Colón, Port Vell, the exclusive Soho House and near the wonderful beaches of Barceloneta as well as all of the sights and historic buildings of the Old Town. 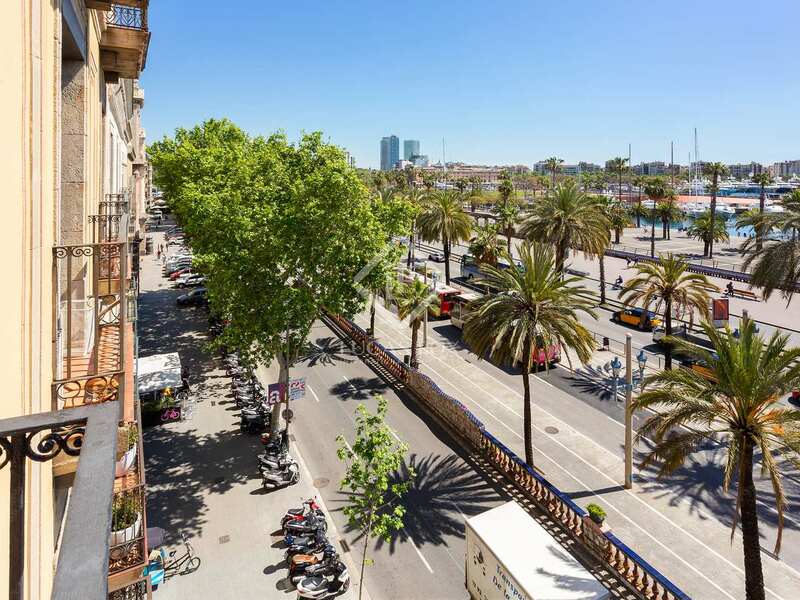 The area is well served by public transport, with the Drassanes metro station nearby, and there are many public parking spaces in the area.